Barcelona offers wide range of furniture stores where you can find everything from bedroom furniture to outdoor decor. Almost every store offers a quality interior designer who will offer you how you can furnish your house/flat taking into account the space provided and based on your style preferences. You can even get a 3D project to be able to visualize the end result. Barcelona offers wide range of furniture stores where you can find everything from bedroom furniture to outdoor decor. Almost every store offers a quality interior designer who will offer you how you can furnish your house/flat taking into account the space provided and based on your style preferences. You can even get a 3D project to be able to visualise the end result. So now the most important thing is to choose the right store. 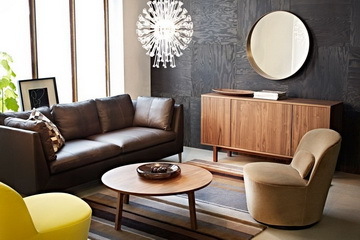 Below you can find our selection of the most important furniture stores in Barcelona. 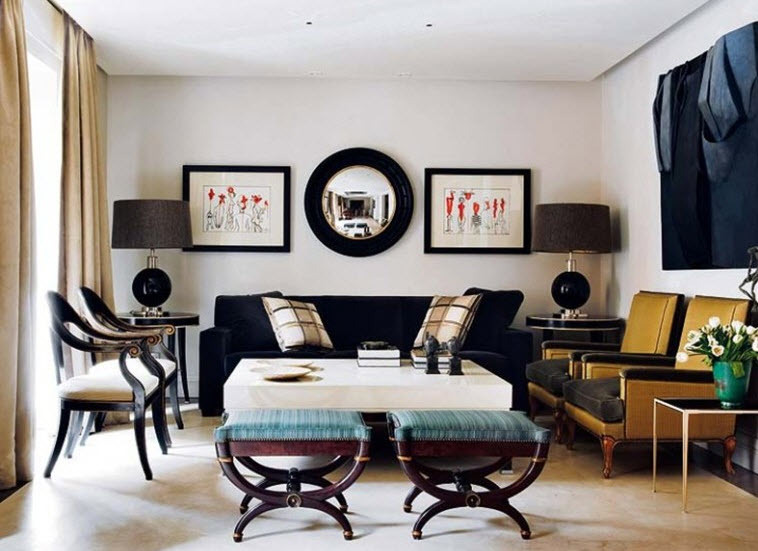 Roche Bobois - is a place to go if you are looking for luxury upholstered furniture. Here you can find best European (French, Italian, Swiss) brands.This famous Paris brand store sells furniture as well as interior decorations, and renews collections every 6 month. Roche Bobois furniture is famouse for its high quality and interesting designer solutions. All items are divided into 3 individual styles: Les Contemporains, Les Voyages and Les Provinciales. Les Contemporains represents modern designs, that relies on contemporary tendencies, functionality and convenience. Les Voyages is ethnic style, that shows a lot of national elements in decor (from exotic countries such as Egypt, Japan, Morocco). Its perfect for those who want their home reflect their individuality. Classical style Les Provinciales suits those, who appreciate warmth and charm of French province. Symmetry in composition, correct forms and straight lines represent this style. Classical furniture is known to be light, simple and elegant with accent on geometrical figures and upscale natural materials - stones, pearls and crystals, as well as ebony, mahogany, oak, cherry tree and walnut tree. Another similar store of luxury furniture is Cubiña. Here you can find famous Italian, Swiss, Danish brands as well as some of the best local Spanish producers. This store, located in a unique designer building of Barcelona, is standard of high quality for many Spaniards, due to its concept of modern design and eclectic spirit. Here you will see how classic goes hand in hand with empire style, and baroque with modern style. This kind of furniture will be interesting for travellers and collectors. Modern functional furniture from Spanish manufacturer. Muebles de la Fabrica is a leader in the Spanish furniture market on the territory of Spain and is also well known abroad.During 70 years of its history this brand has opened stores in 20 other countries, offering its clients stylish modern furniture and original decor elements. In this store you can find furniture of different styles with the best value for money. And the last but not the least, those who are looking for functional furniture at inexpensive prices are always welcome in IKEA. Ikea offers wide range of furniture for mass consumer. The main concept of this store is that the prices are very competitive but the buyers need to assemble everything themselves. This brand is currently working with more then 1300 suppliers in about 50 different countries and has more than 30 furniture and woodworking companies in 11 countries. As for the accessories for your home, here are the most popular stores: Zara Home (Avenida Diagonal 490 Barcelona), Casa Viva (Rambla de Catalunya 41 Barcelona), Bauhaus (Paseo Zona Franca 123 Barcelona). La Mallorquina (Passeig de Grácia 100 Barcelona) offers drapes and textile at a reasonable price, if you are looking for lamps - Abelux (Calle Jonqueres 18 Barcelona) and domestic appliances - Pont Reyes (Calle Balmes 9 Barcelona). Albert Good also offers interior designer and architect services to make your dream home a reality.